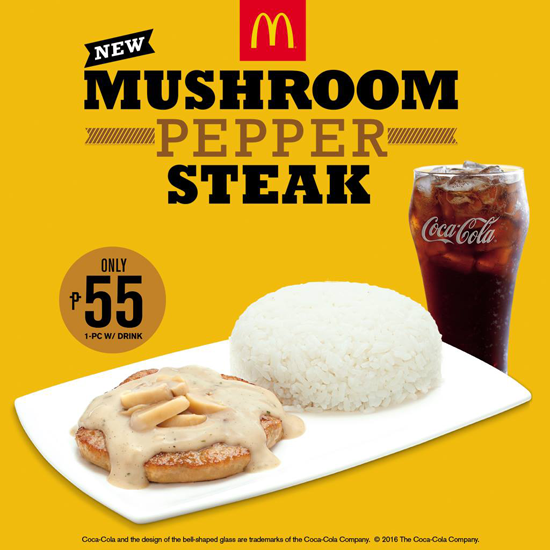 A new addition to McDonald's range of affordable rice meals, here comes the new Mushroom Pepper Steak! It features a juicy burger patty, smothered with a mushroom cream sauce with a hint of pepper, and topped with sliced button mushrooms. Now that's a good thing to start the New Year! Customers can enjoy a STEAKation whenever they are with their newest food offering. Take the 1 pc Mushroom Pepper Steak with a regular drink for only Php55. If you want more, you can order a 2-pc meal with a regular drink for Php89. 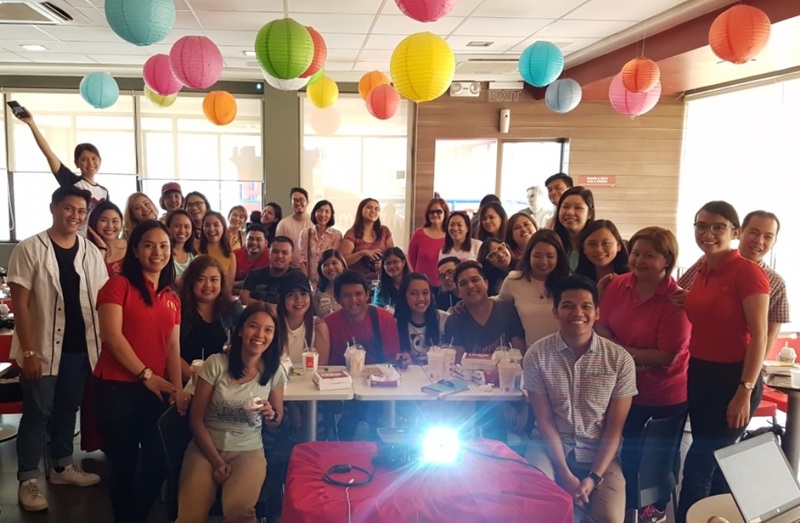 You can also choose a McFreeze with that for Php69 for the 1-pc meal or P99 for the 2-pc meal.